Certified and Notarized translations for $19.95! Listen to what we have to offer in Sacramento, California! Since 2007, we've been providing superior Russian translation and interpretation to individuals, organizations, and businesses in Sacramento, the capital city of the U.S. state of California. Consistent excellence in reliable translations and customer satisfaction is deeply rooted in our DNA. This, bound with our expertise and focus on affordability leads to our goal of exceeding customer expectations. 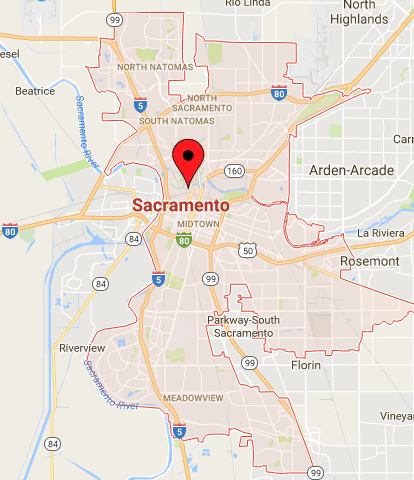 Sacramento metropolitan area is home to a large Russian-speaking population with a wide range of translation and interpretation needs. Being America's most diverse city, Sacramento is home to many industries, including health care, clean technology and energy, agriculture, and education. That is why our highly-trained language experts hail from a variety of professional and academic backgrounds, and bring an extraordinary level of knowledge, experience, and care to every job they undertake. We strive to match each individual project to a translator and interpreter with specific expertise in that area, so you can feel confident that what you are reading, hearing, writing, or saying conveys exactly the information and feeling intended... with nothing "lost in translation." All of your submitted documents, personal information, email addresses, written and verbal communication with our staff will be kept confidential from disclosing to third parties. Certified and notarized translations of vital records and documents for submission to Russian and Ukrainian consulates, American universities and U.S. government departments and agencies, including USCIS Field Office in Sacramento, CA (located at 650 Capitol Mall, Sacramento, CA 95814). We offer fast turnaround - expedited translations in as little as 24 hours available. Russian professional and accredited interpreters with many years of practical and hands-on experience in interpreting in both simultaneous and consecutive settings. We cover a broad spectrum of interpretations in any area where language conversions may arise. We work with California court certified interpreters in Sacramento area. These companies put trust confidence in our translation. At Russian Translation Pros we praise ourselves for being passionate about matching languages with precision. We go beyond simple translation, we synchronize one language with the other so no cultural nuances are lost or mistakenly modified. We hold the gold standard in preserving the integrity of any translation we do, no matter if it's a financial paper, business proposal, official document, personal letter, or any other type of translation we serve our clients with.